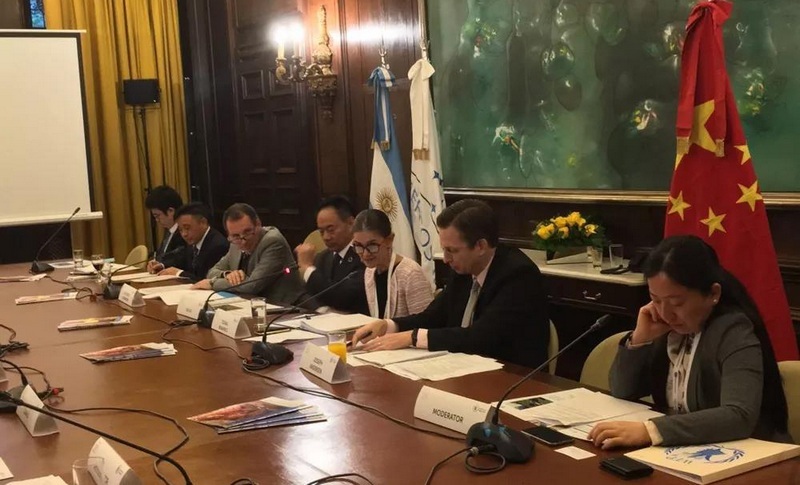 The Centre for Sustainable Agricultural Mechanization (CSAM) of ESCAP participated in a Side Event titled ‘Collaboration Between China and WFP: Fostering Farmers’ Leadership for Enhanced Resilience Through South-South Cooperation’ held in Buenos Aires, Argentina, on 21 March 2019, during the 2nd High-level United Nations Conference on South-South Cooperation (BAPA+40). Among the sub-sectors of agriculture, agricultural mechanization has a key role in increasing agricultural productivity of smallholders, enhancing their resilience, and combating land degradation. It is necessary for transitioning to a path of modern agriculture and higher rural incomes. However, to reap its full benefits in an inclusive and sustainable way, it must be ensured that farming communities have access to safe, efficient, and environmentally sound machinery. Moreover, the machinery should be affordable for smallholders and resource poor communities, and the required skill development and training should be provided, including to women farmers. All this, in turn, requires effective knowledge sharing; and coordinated, multi-stakeholder efforts based on the principles of South-South Cooperation. Given the scale of the challenge of combating global hunger and poverty, it is imperative for all actors to join hands in partnership, and contribute expertise and resources to find local solutions to local problems. The Side Event, organized by the World Food Programme (WFP) China Centre of Excellence, highlighted the collaboration between China and WFP towards achieving zero hunger and poverty reduction through South-South and triangular cooperation. Speaking on the theme ‘Strategic Partnership for Sustainable Agriculture through Technical Support to Smallholders for Zero Hunger’, Ms. Tiziana Bonapace, Director, Information and Communications Technology and Disaster Risk Reduction Division, ESCAP, introduced CSAM’s initiative titled the ‘Asian and Pacific Network for Testing of Agricultural Machinery’ (ANTAM) which has recently been featured in the second volume of ‘Good Practices in South-South and Triangular Cooperation for Sustainable Development’, a global series published by the United Nations Office for South-South Cooperation in New York. She also introduced the Regional Drought Mechanism of ESCAP. Overall, the Side Event highlighted the importance of South-South Cooperation for promoting sustainable agricultural mechanization for smallholders and enhanced the visibility of CSAM’s work on sustainable agricultural mechanization at a key global forum.